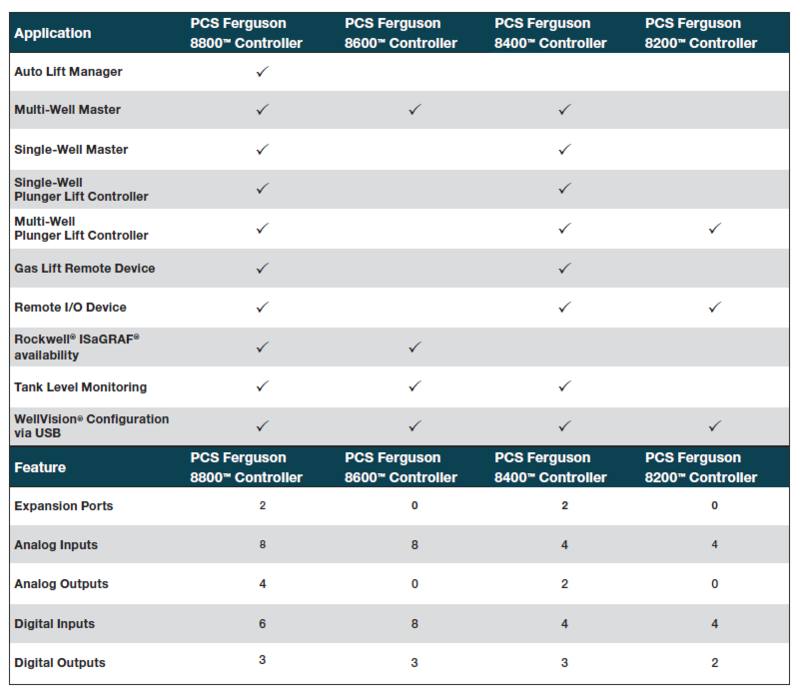 The PCS Ferguson 8000 Series® Controllers can manage virtually all the facilities on your site. The controllers easily integrate with gas measurement, host systems, and other third-party devices. This powerful and flexible system gives you true supervisory control at the well head as well as remote monitoring and control of tank levels, chemical injection, gas volumes, pressures, temperatures, flow rates, compressor set points, and more.